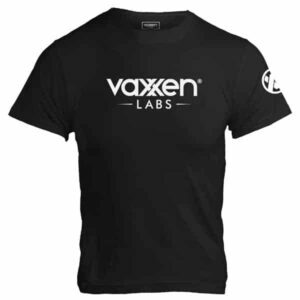 Keto AssistPlus - Ketogenic Creamer Supplement - Vaxxen Labs, Inc.
Keto AssistPlus is an all-natural formula made for those who want to fuel their body with the best sources of healthy medium-chain triglycerides (MCTs) and collagen peptides. If you’ve been on diet that includes carbs for most of your life, your body is naturally trained to use sugar (glucose) for energy. The problem with eating a lot of carbs is that your body preferentially uses sugar instead of fat for fuel, which can create rapid swings in energy levels and mood throughout the day (since sugar is not the ideal form of lasting energy). 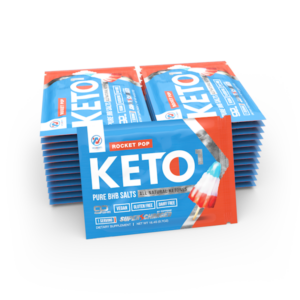 Keto AssistPlus provides healthy fats that perfectly complement the keto lifestyle by boosting energy throughout the day without the accompanying blood sugar swings that you would get from sugar. MCTs are a special class of triglycerides (fats) that contain between 6-12 carbons in their fatty acid chain structure. Why does this matter, you ask? Most dietary fats are long-chain triglycerides, which are digested and absorbed through the lymphatic system. MCTs, on the other hand, are rapidly absorbed through the portal system and readily oxidized, which means you get a quick energy boost and sharp rise in ketone production after consuming them.Think of MCTs like “fast-acting fat” that doesn’t produce the blood sugar swings and crashing that sugar does; just clean, lasting, and smooth energy to power you through the day. Coconut is nature’s best source of MCTs, especially lauric acid. In fact, the vast majority of MCT oil and MCT powders you find on the market are made by refining/purifying coconut oil. Coconut is known to have a multitude of benefits in humans, including support for healthy gastrointestinal integrity, reducing the risk of infection, promoting cardiovascular function, and more. . Bovine collagen is a rich source of Type-I and Type-III collagen peptides – the ideal forms of collagen for anti-aging benefits and connective tissue. 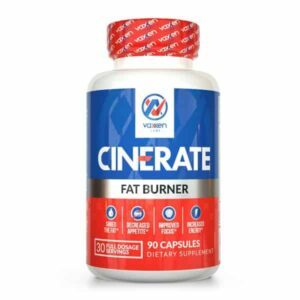 Want healthier skin, stronger bones, and better muscle function? Then you need bovine collagen. Collagen is the most abundant protein in humans and most animals, but our body’s start to produce significantly less as we age past our 20s, and most people consume a negligible amount of collagen as part of their normal diet. 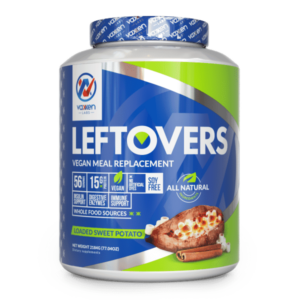 As such, supplementing with Keto AssistPlus is a simple and effective way to meet your Type-I and Type-III collagen demands every day. .
Stevia is a plant species (Stevia rebaudiana) that contains a natural, non-caloric sweetening compound known as stevioside – which is 150 times sweeter than table sugar (sucrose). When you’re eliminating or reducing carbohydrates from your diet, stevia is the best non-caloric sweetening option since it doesn’t impact blood glucose levels or harm the gastrointestinal tract like other non-nutritive sweeteners may. .
Krotkiewski, M. (2001). International Journal of Obesity, 25(9), 1393. Nature Reviews Neuroscience, 9(1), 36. Tomlinson, D. R., & Gardiner, N. J. (2008). Collagen: Animal sources and biomedical application. Silvipriya, K. S., Kumar, K. K., Bhat, A. R., Kumar, B. D., John, A., & Lakshmanan, P. (2015). J App Pharm Sci, 5(3), 123-127. Cognition and synaptic-plasticity related changes in aged rats supplemented with 8-and 10-carbon medium chain triglycerides. Wang, D., & Mitchell, E. S. (2016). PloS one, 11(8), e0160159. Volek, J. S., Fernandez, M. L., Feinman, R. D., & Phinney, S. D. (2008). Progress in lipid research, 47(5), 307-318. ). Despite higher n-6 PUFAs, butter remains a reliable source of saturated fats across the world. Ghosh, S., & Botta, A. (2016). The FASEB Journal, 30(1_supplement), 905-3. Elgersma, A. (2015). European Journal of Lipid Science and Technology, 117(9), 1345-1369. Meat, eggs, full-fat dairy, and nutritional boogeymen: Does the way in which animals are raised affect health differently in humans?. Haskins, C. P., Henderson, G., & Champ, C. E. (2018). Critical reviews in food science and nutrition, 1-11. The properties of lauric acid and their significance in coconut oil. Dayrit, F. M. (2015). Journal of the American Oil Chemists’ Society, 92(1), 1-15. Aging of collagen: comparative rates in four mammalian species. Hamlin, C. R., Luschin, J. H., & Kohn, R. R. (1980). Experimental gerontology, 15(5), 393-398. Anton, S. D., Martin, C. K., Han, H., Coulon, S., Cefalu, W. T., Geiselman, P., & Williamson, D. A. (2010). Appetite, 55(1), 37-43. 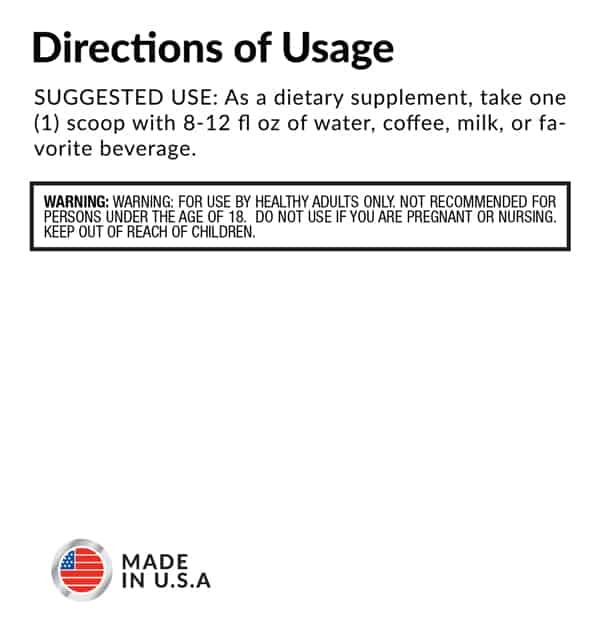 As a dietary supplement, mix one (1) scoop with 8-12 fl oz of water, coffee, milk, or you favorite beverage. 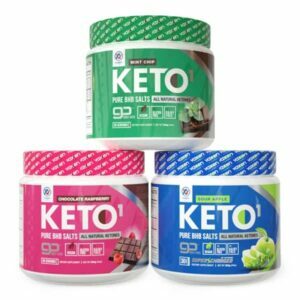 What are the benefits of Keto AssistPlus? Medium-chain triglycerides (MCTs) and grass-fed butter deliver a healthy fat surge in a delicious creamer, giving your body a quick-acting (and long-lasting) source of energy for both your mind and body. 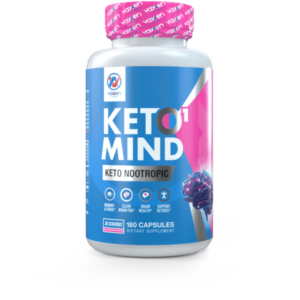 The fats in Keto Assist are rapidly metabolized to support ketosis, cognitive function, mental acuity, and physical performance. 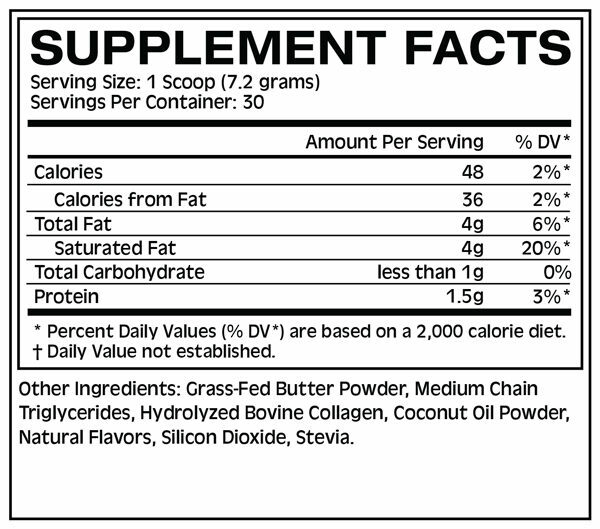 Keto AssistPlus is more than just healthy fats though, as we included bovine collagen from grass-fed cattle, which is one of the best forms of type-I and type-III collagen. Bovine collagen? What's the deal with that? Our Hydrolyzed Bovine Collagen comes from non-GMO, grass-fed cattle. 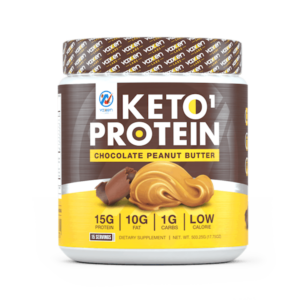 We’ve added it to Keto AssistPlus to aid in delivering essential amino acids and key collagen peptides while the flavoring and solubility make it an enjoyable way to meet your daily type-I & type-III collagen needs (without the bad taste)! I keep seeing collagen products, why should I be taking it? 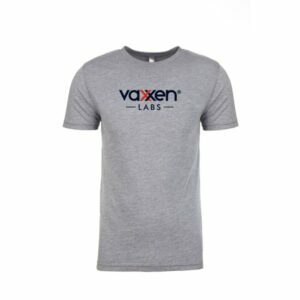 Collagen is actually the most abundant protein in humans, coming in over 40 different types. Generally, collagen types I, II, and III are the most important, especially for skin, joints, muscles, tendons, cartilage, teeth, nails, hair, and other vital tissues. Your body naturally produces a good amount of collagen until about the age of 20, thereafter it starts to make less and less. As such, supplementing with collagen peptides is a great way to meet your body’s demand for this powerful anti-aging protein. In simple terms: Collagen helps in rejuvenating connective tissues and restoring vitality as you grow older. When is the best time to take Keto AssistPlus? Keto AssistPlus is a delicious and nutritious boost for virtually any time of the day since it doesn’t contain stimulants. We highly recommend mixing it in your morning coffee or favorite drink of choice during the day to kick-start ketosis. No blending or shaking necessary, just toss a scoop in and mix with a spoon. Does your product contain anything artificial? Nope! 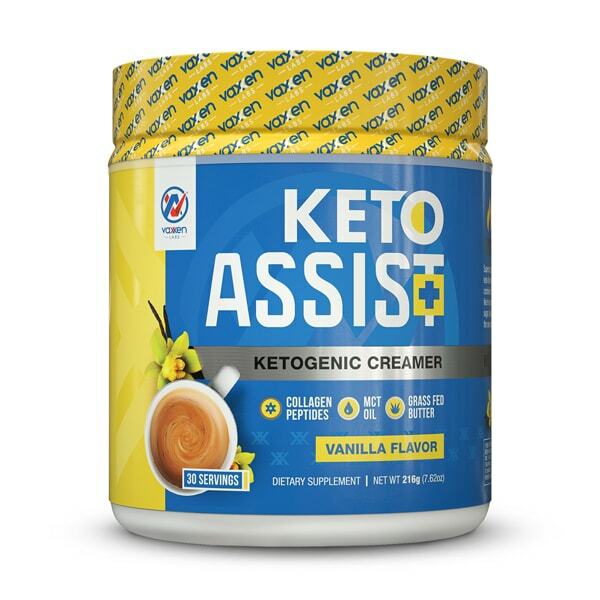 Keto AssistPlus is entirely naturally flavored with stevia and absent of any artificial dyes or additives! 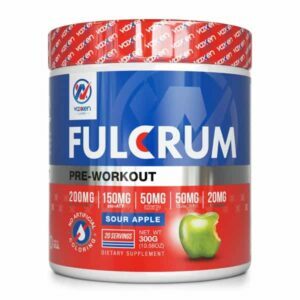 How many servings are in a container?